Tickets are $38 (including all service charges). They are also available by phone through Hold My Ticket at 505-886-1251. NOTE: This show has been moved to San Miguel Chapel (from St. Francis Auditorium). All tickets to the original show will work for the new show. 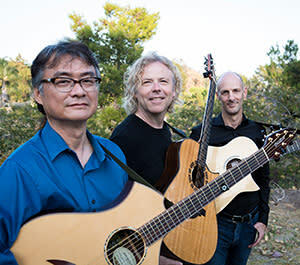 The universe of guitar knows no boundaries for The California Guitar Trio. Since 1991, the group has enthralled listeners with a singular sound that fearlessly crisscrosses genres. The trio's questing spirit drives it to explore the intersections between rock, jazz, classical, and world music. It even throws in the occasional surf or spaghetti Western tune for good measure. 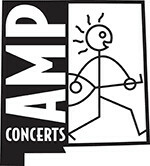 Comprised of Bert Lams, Hideyo Moriya and Paul Richards, the group has established a unique, personal connection with audiences. 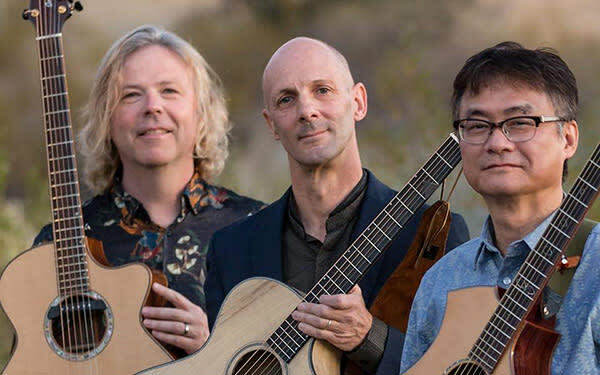 In addition to dazzling musicianship and interplay, The California Guitar Trio's (CGT) shows are full of captivating stories and humor that enable concertgoers to feel like they're part of the music, not just spectators. In fact, the group's goal is to transcend their instruments, so people focus on the music first, and its considerable technical prowess a distant second. The trio's output has made a major global impact, having served as the soundtrack for Olympics coverage, and programs on CNN, CBS, NBC, and ESPN. They have fans in high places too: NASA used their music to wake the crew aboard the Space Shuttle Endeavour. CGT's lineup is truly the sum of its distinct parts: A Utah native now residing in Los Angeles, Paul Richards immersed himself in rock, blues, jazz, and folk during his early days and while attending The University of Utah's jazz guitar program. Bert Lams, originally from Belgium, graduated from the prestigious Royal Conservatory of Music in Brussels, specializing in classical guitar. Tokyo-born Hideyo Moriya began his guitar journey with surf music and British rock, before relocating to Boston to study at Berklee. All three felt the call to push themselves to the limit by enrolling in Robert Fripp's challenging Guitar Craft courses, where they first met in 1987. They went on to tour together as part of Fripp's League of Crafty Guitarists, before forming the California Guitar Trio in Los Angeles four years later.